Make sure you have proper Ride Sharing insurance! Finally, uber drivers get proper uber insurance coverage in Ontario and Toronto. Ontario’s insurance regulator announced on July 7th, 2016 that it approved a policy from Intact for ridesharing insurance for all Uber drivers. Ontario joins Alberta as one of two provinces in Canada that offers coverage to Uber and ridesharing drivers that comes into effect when the app is turned on until the ride is complete and the passenger exits from the vehicle. This form of auto insurance fills a gap in coverage that has existed in the industry for some time. With the rise of the sharing economy, it provides innovative solutions that meet the needs of consumers. It is great for both drivers and passengers as they can have peace of mind knowing that they have proper insurance coverage. Drivers have two main options to get an Uber insurance policy in Ontario. Uber and ridesharing drivers can get standard Uber insurance coverage through Intact, which is automatic once you turn on your app, and additional ridesharing insurance coverage through Aviva. Additional insurance companies are also planning to come to market with Uber insurance for Ontario, Alberta, and other Canadian provinces. 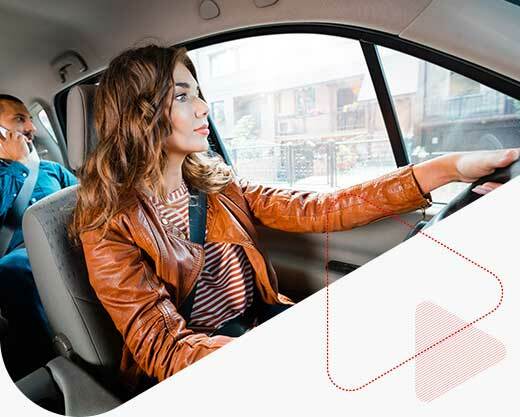 Intact Uber insurance offers car insurance coverage for drivers who use their own car or vehicle to transport paying customers for ridesharing services. Uber has a primary commercial insurance policy with Intact Insurance. It provides coverage to all vehicles, drivers and passengers from the minute a driver turns on the app and is available to accept a ride request until the passenger exits the vehicle. Coverage is also available through Novex, Jevco and Belairdirect via Intact. "This new ridesharing insurance approved by (the Financial Services Commission of Ontario) should serve as a practical solution designed for ridesharing," Uber Canada's general manager, Ian Black, said in a statement to the CBC. 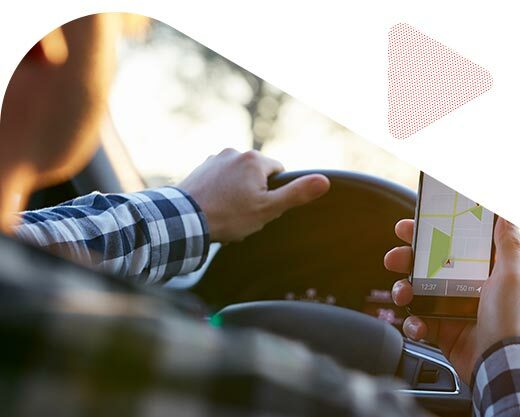 "Both (Intact) and Uber remain engaged with regulators across Canada to bring new ridesharing insurance policies that offer a smart, seamless and simple solution for driver-partners." What is being coined “blanket fleet coverage” addresses an insurance gap within the industry and ensures all Uber drivers and passengers are properly covered. Phase 0 : Uber driver is offline and drivers use their personal insurance policy. Phase 1 : Uber driver is logged into the app and is available to accept rides. Phase 2 : Uber driver accepts ride request and is on the way to pick up a passenger. Phase 3 : Uber driver is transporting passenger to their destination. During each phase, a different level of insurance coverage is enacted, and the Uber commercial policy does not kick in until the app is turned on and the driver is ready to engage in ridesharing. Phase 0 : Personal insurance coverage in effect. Phase 1 : $1 million third party liability and standard accident benefits. Phase 2 : $2 million third party liability and standard accident benefits. Phase 3 : $2 million third party liability and standard accident benefits. However, this is the basic coverage, and it may not be enough for some drivers who may require more comprehensive insurance coverage when engaging in ridesharing services. Aviva also provides car insurance coverage for Uber drivers. This Aviva Uber insurance coverage is an add-on or endorsement that goes above and beyond your standard personal car insurance policy. 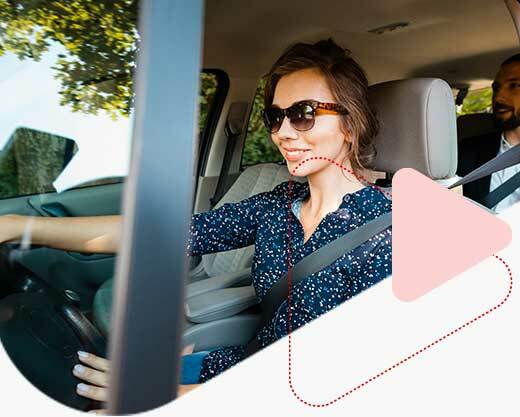 Existing Aviva policy holders can add the extra coverage for a small fee that is based on your current annual Aviva auto premium and the number of ridesharing hours you perform weekly. If you do not currently have car insurance with Aviva, you will need to switch providers to get this additional coverage. 20 hours per week : Drivers can rideshare for a maximum of 20 hours a week. You have a ridesharing contract : You are contracted with a transportation network or ridesharing company. 6 years licensed : You must be licensed for a minimum of 6 years in the US or Canada. 7 passengers : You can carry up to 7 passengers + the driver. Not for commercial licenses : Your vehicle cannot be licensed as a commercial vehicle (no taxis or limousines). Not for commercial licenses : Your vehicle is not used for commercial use, including delivery services. You can receive this coverage as an addition (endorsement) to your personal vehicle insurance if you meet these conditions. According to Aviva Insurance, “Uber does not currently offer any ridesharing insurance that fully conforms with Ontario’s minimum automobile insurance requirements.” Uber only provides third party liability for its drivers. This is not adequate for drivers in Ontario. Greg Somerville, CEO of Aviva Canada says, "We're excited to offer a simple and affordable solution within a driver's existing personal auto policy, thereby providing drivers and passengers with absolute peace of mind that they have insurance coverage while ride-sharing." Aviva’s coverage protects ride-sharing drivers from the time they respond to a request for a lift to when they drop passengers off. Aviva Canada and Pembridge Insurance also offer this insurance coverage for ridesharing drivers in Alberta (as of August 1st, 2016). If you have any questions or want to get Uber or ride sharing insurance coverage, please call one of our licensed insurance brokers toll-free at 1-855-550-5515. How Much Does Uber Insurance Cost? Intact ridesharing insurance coverage for Uber drivers can be added to your personal insurance coverage at no additional cost. If you currently participate in ride sharing or plan to become an Uber driver, you must inform your broker. Your broker will then advise Intact about your intentions to ensure you are protected. Aviva Uber insurance costs will vary based on your current policy and the number of hours you will engage in ridesharing. It will be an additional fee on top of your personal insurance policy. Which Uber Drivers Are Included? UberX : Seats up to 4 passengers. The most affordable Uber option. UberXL : Seats up to 6 passengers and are usually SUVs. Uber Select : This is Uber’s entry level luxury car service. The vehicle seats up to 4 people, and cars are BMWs, Mercedes and other luxury vehicles. UberHop : Share trips with other users along popular routes during peak times. UberPool : You rideshare with other people to share the costs of the trip. What Is Uber X? Do I Need Uber X Insurance? Uber offers a variety of different ridesharing services, and one of the most popular in Toronto and across Ontario is Uber X. Uber X seats up to 4 passengers, it is the least expensive Uber service, and Uber X drivers typically drive smaller vehicles such as a Honda Accord or Civic, Toyota Prius, or Volkswagen Jetta. These vehicles must be a 2001 model or newer. It is popular because it is a more affordable option than your traditional yellow cab. Do I Need Proof Of Uber’s Commercial Insurance Policy? Drivers will not receive a paper copy of a certificate of commercial insurance. An electronic certificate of car insurance can be found through the Uber app. Refer to this document if you experience an accident or traffic violation. Why Do I Need To Get Proper Car Insurance Coverage As An Uber Or Ride Sharing Driver? Regular Car Insurance Doesn't Cover Ride Sharing : Uber requires you to have valid personal car insurance coverage, but your insurance company may not cover you or your vehicle if you get in an accident while ride sharing. So you’ll need to pay out of pocket for damages to your vehicle and for medical costs (if applicable). The Uber commercial insurance policy through Intact solves this issue and ensures Uber drivers are properly insured. Your Current Car Insurance May Get Cancelled : Your insurance company may lapse or not renew your policy if they find out you are a ride sharing driver. If you are currently an Uber driver or plan to become one, contact ThinkInsure today. We will ensure you take advantage of the Uber car insurance available through Intact. Peace Of Mind With Proper Coverage : You’ll have peace of mind knowing you and your passengers are properly protected. Whether you are driving for personal use or are driving people around using the Uber app, you will have the car insurance coverage you need. What Is The Difference Between Ride Sharing And Taxi Insurance Coverage? Taxis are considered commercial vehicles so they must have proper commercial auto insurance coverage to legally drive and operate in Ontario. Ride sharing vehicles are used for both personal and paid fare driving purposes. Whether you are a licensed taxi driver or are an Uber driver and are not sure which coverage applies to your situation, it is best to ask your insurer or broker. On May 3, 2016, Mayor John Tory has promoted Uber as a viable alternative and has walked a careful line of trying to appease taxi companies while hearing the demands of the general public for Uber services. The complicated new rules – about 20 pages in regulations – are an attempt to regulate both Uber and the taxi industry. The taxi industry is not happy with the new rules saying that the rules are unfairly biased against it. The new bill from Toronto City Council introduces a new Private Transportation Companies (PTC) licensing category that will include "ridesharing services" such as Uber and Lyft. There are many new rules that will apply to Uber drivers and other ridesharing services if they want to operate in Toronto. Some rules for taxis have also changed in efforts to help make things fairer. Below is a summary of some of the key changes. Uber : Can only book fares by using a smartphone app. Taxis : Can pick up curbside customers hailing and book fares via a smartphone app. Uber : Background checks are now required for all drivers. Taxis : Background checks continue to be required for taxi drivers. Uber : Annual licensing fee of $10 per driver and 20 cents per trip. Taxis : Annual licensing fee of $290 per driver. Uber : Must have a G class license and a city permit. Taxis : Must have a Taxicab drivers license. Uber : Vehicles must now have 2 safety checks per year. Taxis : Taxis continue to require 2 safety checks per year. Uber : UberX drivers must raise their base fare from $2.50 to $3.25 to be the same as taxis. Taxis : Taxicab base fare remains at $3.25. Uber : Uber drivers need $2 million in liability insurance and must show proof of insurance to the City of Toronto. Taxis : Taxi drivers need $2 million in liability insurance. Uber : Uber has already been applying surge pricing in high demand times. Taxis : Taxis can now apply surge pricing if rides are booked via a smartphone app. Uber : Cameras or emergency lights aren't required now, but this will be reviewed by city council. Taxis : Cameras and flashing emergency lights continue to be required. Can My Current Personal Car Insurance Policy Cover Me As An Uber Driver? Insurance companies are working on products for Uber and ride sharing drivers. Aviva now allows part-time Uber drivers to have an endorsement added to their auto policy for additional coverage for a nominal increase in premiums. Rates are based on how many hours per week a driver does paid ride sharing. The Aviva coverage only applies to part-time drivers who use their vehicles up to a maximum of 20 hours per week. 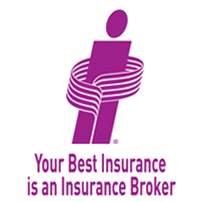 An endorsement is a clause in an insurance policy detailing an exemption from or change in coverage. Call a ThinkInsure broker at 1-855-550-5515 to find out more about Aviva Uber insurance coverage. What Happens If I Get Into An Accident While Driving For Uber? 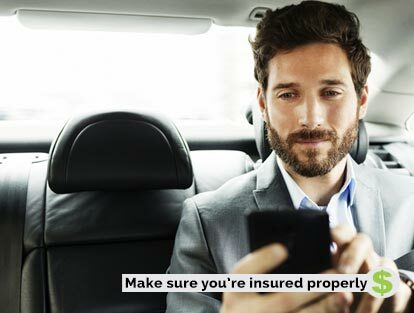 UberX provides insurance coverage for bodily injury and property damage to third parties. But as an Uber driver, you are responsible to ensure that you have adequate insurance coverage for your vehicle and yourself. To make sure that you and your passengers are properly protected, check with your insurance broker. Know what your existing personal car insurance covers and what you can do to adjust your current policy. The Ottawa Uber blog reported 5.7 times the trips being completed over NYE 2014. Do you want to know more about Uber, Uber driving and insurance for Uber? Here are some recent articles to get you started. If you are an Uber driver or are considering becoming one, call toll-free 1-855-550-5515. We'll be happy to get you proper coverage.